As physicians, we learn about the Starling curve in the first year of medical school. 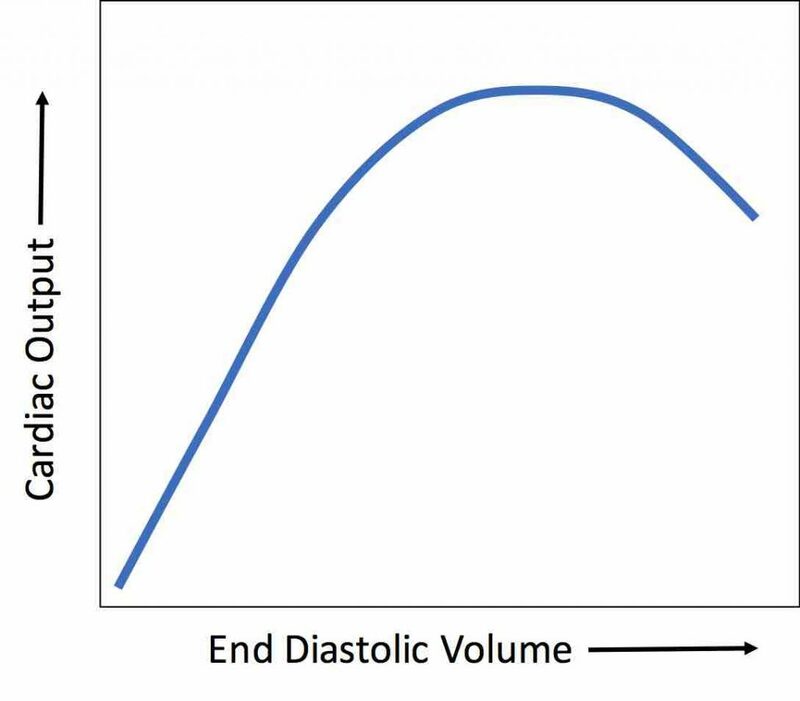 It expresses the relationship between left ventricular end-diastolic volume and cardiac output. The same can be applied to the relationship between physician RVU productivity and departmental/institutional health. The physiologic relationship dictates that as end-diastolic volume increases, cardiac output also increases, but only up to a point. At some level of high end-diastolic volume, the heart gets over distended and over stressed – resulting in a progressive fall in cardiac output. It is the so-called “going over the top of the Starling curve”. This is the mechanism of heart failure – you over-fill the left ventricle and the heart “bags-out” with a reduction in cardiac output. Last week, our medical center had its annual review of the departments. Each department gets 1 hour to update the Dean of the College of Medicine, the CEO & CFO of the medical center, and various medical center leaders about their department. Big departments, such as internal medicine and surgery, get longer than an hour. During each session, the department chairman provides an update on physician productivity, faculty attrition, faculty gender percentages, annual procedures, inpatient & outpatient visit numbers, etc. It culminates with the department’s assessment of strengths, weakness, opportunities, and threats. Medical center leaders use this information for strategic planning for the next fiscal year budget and resource allocation planning. As the medical director of one of our hospitals, I attended the sessions which went all day for 3 consecutive days. As the department chairs successively presented every department’s data, I was struck by another curve that has the exact same appearance of the Starling curve. As background, our institution has a goal that physicians will produce at the 75th percentile of benchmark productivity. We use data from Vizient (formerly, the University Healthsystem Consortium, or UHC). The Vizient database collects information from nearly all academic medical centers on things like physician salaries and productivity (measured by work relative value units – aka, wRVUs). A physician who produces at the 50th percentile of wRVU productivity would be average among peer academic physicians in that particular specialty. A physician who generates annual wRVUs at the 25th percentile produces annual wRVUs at the level of the bottom 25% of other academic physicians in that specialty and a physician at the 75th percentile would be producing more annual RVUs than 75% of all academic physicians in that specialty. At the Ohio State University, we are held to a 75th percentile goal. On the surface, that sounds awful, like we are flogging our doctors to produce more than doctors at other academic medical centers. But under the surface, this turns out to not be true. You see, the Vizient wRVU benchmark is based on what a 100% full-time clinician would produce. Few, if any, of our doctors are 100% clinical FTEs (Full Time Equivalents). Most of the medical faculty have some portion of their time reserved for academic pursuits – generally 10-20% of their time. This time is meant to be used for teaching medical students & residents, writing papers, preparing lectures, writing research grants, etc. The problem is that there is no money coming in from anywhere to cover that 10-20% uncompensated academic time. So, we have to fund that academic time out of our clinal income from taking care of patients. Lets take an example of a physician who works 50 hours per week. This physician is 80% clinical time (40 hours a week) and 20% unfunded academic time (10 hours per week). 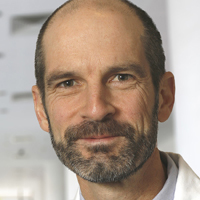 If this physician produces wRVUs at the 75th percentile during the 40 hours per week that they are doing clinical care, it turns out that this is usually pretty close to a physician producing at the 50th percentile during a 50 hour clinical care week week. In other words, the productivity all pretty much balances out given that our physicians rarely are 100% clinical FTEs. So, getting back to the annual departmental reviews, for most of the departments, about half of the physicians were producing at the 75th percentile. This seems appropriate – younger physicians need a ramp-up period before they get optimally efficient and productive, consultants and surgeons need a few years to build up a referral base, and inevitably even some seasoned physicians are going to be more productive than others. Ideally, you want the department to be producing at the 75th percentile, in order to allow for these variances in individual physician productivity. But one of the departments had a striking graph. In 2015, 96% of the physicians in that department were exceeding the 75th percentile of wRVU productivity compared to other academic physicians in that specialty. In 2016, about a third of the physicians in that department resigned – mostly to go into private practice. I got to thinking that wRVU productivity is a lot like end-diastolic volume. And department/institution health is a lot like cardiac output. Increasing physician productivity is healthy for the department up to a point. But each department has a peak to its productivity curve, and if productivity gets too high, then the department is stressed, moral declines, and physicians leave. It turns out that when it comes to physician productivity, more is not always better. If it reaches a point where academic physicians have to see more patients than physicians in private practice (but still get paid less than physicians in private practice), at some point, those physicians leave in order to work less and make more. 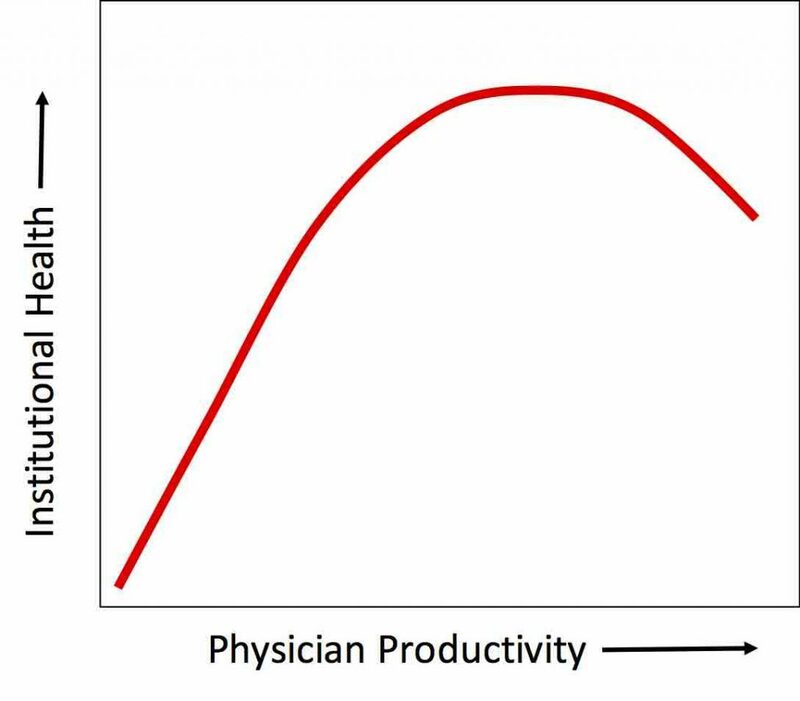 I don’t know exactly where the peak of the physician productivity Starling curve is. I suspect that it likely will vary from specialty to specialty depending on a number of variables. But my best estimate is that when a department’s average annual productivity exceeds the 85th to 90th percentile of wRVU productivity, bad things happen: physician burn-out, physician salary envy, lack of time to teach, etc. Some physicians are going to always be extreme producers and aren’t happy unless they are in the 95th percentile of productivity. For those physicians, you get them a really nice office, publicly acknowledge them, and make sure that they get plenty of administrative/nursing support. Those are the physicians that give others in your institution the extra time that they need to teach and do research. But for most physicians, if you see their productivity getting that high, it is a sign that you need more physicians if you are going to retain them in the future.